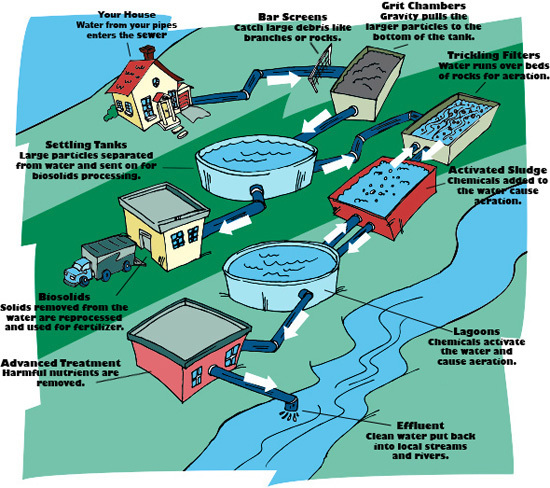 The problems faced by the wastewater system have become more urgent, as the city is now non-compliant with its existing discharge permit. Failure to move forward with upgrades could result in stiff penalties from the Colorado Department of Public Health and Environment, to the tune of $10,000 a day assessed from the first date of the violation last November. According to Demis, the system lacks the capacity to handle heavy rainfall events or river flooding, and also suffers from leaks at multiple points that allow groundwater to seep into the wastewater stream. That excess water damages equipment, overloads the system and can lead to costly permit violations, as well as disrupting the biological process that breaks down the organic material in the water. The system also is incapable of meeting its existing compliance schedules or new regulations that are slated to be implemented by 2022. It suffers from a lack of redundancy, leaving the city vulnerable to failures that would be “catastrophic,” Demis said, and also uses obsolete and dangerous equipment and processes. Demis explained that much of the system has reached, or exceeded, its useful life and the problems the city is facing will only get worse over time. As an example, he said the four clarifiers that are in place had been banned by the time they were installed in 1995, begging the question of how Sterling ended up with them in the first place, and one of the tanks has failed and can’t be used. As part of the presentation, Demis went over the estimated costs, 80 percent of which was for construction and the other 20 percent for legal, administrative, engineering, permitting and other costs associated with such a project. The cost of installing a new force main and improvements to the treatment system itself make up about half of the $31 million price tag. Demis also spoke about possible funding sources. Grants are not reliable, he said; they looked at six possible grant sources and one they identified as a possibility has not received the expected funding because of low oil prices. A review of potential loan sources showed that the State Revolving Fund would provide a lower total cost in the long run versus private loans, because of the reduced interest rate. Either way, the city charter requires voter approval for taking on debt. The city’s existing sewer rates have not kept up with the rate of inflation, Demis said. Using simple math, he estimated that residential sewer users’ rates would increase by $23, but noted that the city would have to complete a rate study to look at the more complex issues involved in determining the revenue necessary to make the recommended improvements, operate the system and invest in other needed infrastructure. The council is awaiting a report on such a rate study that was funded in the city budget last year. Sterling residents for the past two years have seen increases on both water and wastewater services in an attempt to build up the enterprise funds and address infrastructure needs. According to City Manager Don Saling, the rate hikes were intended to narrow the gap between where rates were and where they’ll need to be, pending the outcome of the rate study. One big change he expects to see from the study is a recommendation to base sewer rates on usage; the rate would be calculated from water usage in cooler months, when users are not watering outdoors. A variable rate would be more equitable — a family of four would presumably pay more than a single retiree on a fixed income — and could also encourage water conservation to lower both water and sewer bills.